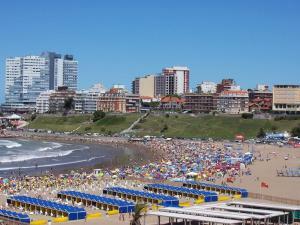 Mar Del Plata is Argentina’s largest beach resort and the seventh biggest city in the country. Mar Del Plata, aka Mardel, is famous for its casino, its nightlife, and an industrial port full of sea lions. Home to Argentina’s annual film festival, the city recently renovated its impressive, classic casino – the Hotel Provencial- but retains the traditional sea lion stench of its port. 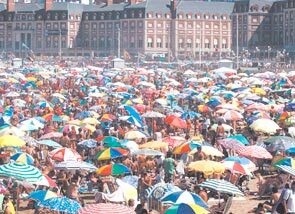 Mar Del Plata has always been popular and is revered amongst Argentines as a great beach getaway. It is a big city with plenty of hotels, shopping, and dining where tourism thrives and there are also plenty of people to share your vacation with. If you are a fan of privacy, peace and quiet, and nature, obviously Mardel shouldn’t be your choice of vacation spot. If you like to people watch and want a place with sites and activity, check out Mar Del Plata for a few days – before heading to another beach town along the coast that might give you a better opportunity to unwind. The Hotel Provincial Casino has been beautifully restored. Its lobby is luxurious but its gaming room is limited to two tables of each of the major games including craps, black jack, roulette, and poker along with a few rows of slot machines. For a casino-hotel that takes up two city blocks, I wondered at the curious use of space – until I was invited to a concert behind the lobby in the theater and convention space, all on the first floor. 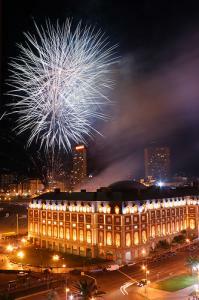 The casino is the main event for the city and plays host to festivals and art exhibits. 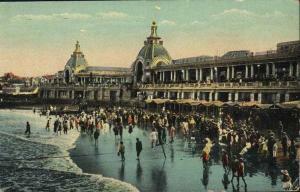 One side of the Hotel Provincial lines the beach and makes for a nice piece of architectural history along the shore. The beach itself is by far the most crowded I’ve ever seen. It’s where people play games, sell jewelry, perform tango, rent cabanas, and, of course, sunbathe. Hawkers comb the beach selling ice cream and cold water with their particular auditory style that makes napping a challenge. Kids and dogs run wild. It’s a lovely sort of chaos if you’re into wild humanity at it’s sweaty best – otherwise, a short visit is enough to get the gist. The main activity of Mardel seems to be walking along the shop strewn avenues and enjoying the city’s pizzerias and clothing stores. My favorite part of a visit to Mar Del Plata was the port. It’s a large, functioning, industrial port. Longshoremen work in the summer sun in orange jumpsuits (and made for some great people watching for a lone female traveler). 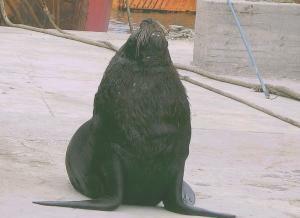 The port is home to a colony of sea lions who’ve overrun the place with their unique odor. It is a stinky part of town, but worth the visit for the graveyard of rusting ships and blubbery mamals who make it their home. Best part of Mar Del Plata? It’s an hour’s bus ride to Pinamar, a lovely seaside resort town that boasts acres of pine forest and uncluttered beaches. This page rendered in 0.052 seconds.